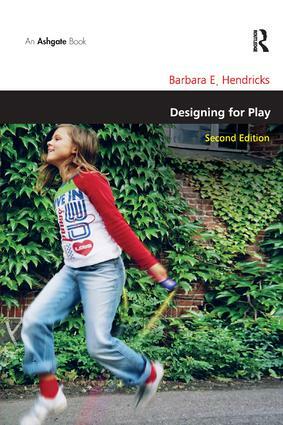 Contents: Foreword; Designing for play; People play; History of the play yard: not a design story; Design and aesthetics - in relationship to play; Society’s criteri;: Children’s criteria; Designer’s criteria; A balancing act: putting it all together; Play yards with early childhood institutions; Play areas at public parks - unsupervised; Designing for play at school; Green children and other trends in playgrounds; Magic in the play area; Playing with the future; Appendices; Bibliography; Index. Urban design is an expanding discipline bridging the gaps between the established built environment professions of architecture, planning, surveying, landscape architecture, and engineering. In this position, urban design also borrows from, and contributes to, academic discourse in areas as diverse as urban geography, sociology, public administration, cultural studies, environmental management, conservation and urban regeneration. This series provides a means to disseminate more substantive urban and environmental design research. Specifically, contributions will be welcomed which are the result of original empirical research, scholarly evaluation, reflection on the practice and the process of urban design, and critical analysis of particular aspects of the built environment. Volumes should be of international interest and may reflect theory and practice from across one or more of the spatial scales over which urban design operates, from environmental and spatial design of settlements, to a concern with large areas of towns and cities - districts or quarters, to consideration of individual developments, urban spaces and networks of spaces, to the contribution of architecture in the urban realm.